With the magical sound and visual artistry of her beautiful Camac concert pedal harp, Emily will work professionally with you to provide the right style of performance to suit your needs. Emily has performed extensively throughout Tasmania and further afield over the last 10 years. 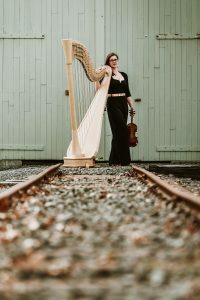 Emily’s repertoire is wide ranging and requests can usually be accommodated; from the traditional through to the highly unusual and everything in between. Emily is based in Launceston, however is able to travel throughout the state. Please feel free to contact Emily to discuss your needs. Emily has experience in numerous solo and collaborative performances, including performing as part of Dark Mofo in 2016, 2017 & 2018, MONA FOMA 2019 & the Junction Arts Festival (Launceston) in 2016 & 2017, live radio performances, functions, concerts and weddings. 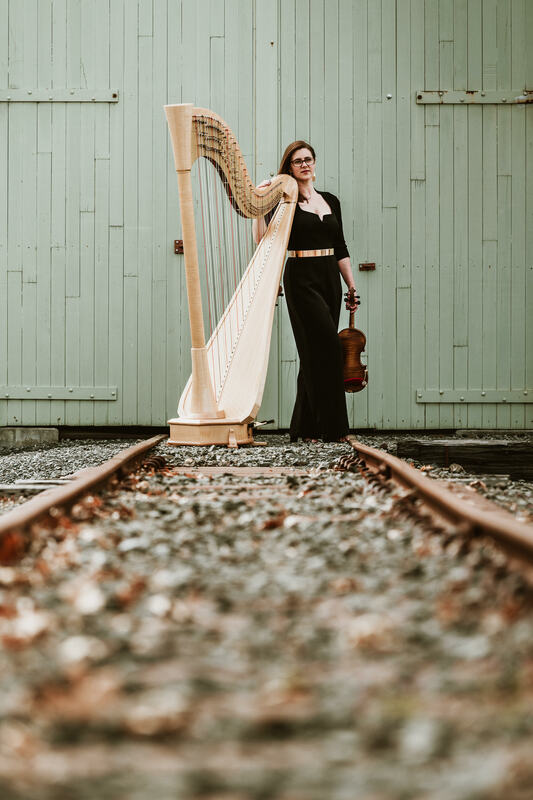 She is the principal harpist with the Launceston Philharmonic Orchestra (2014 – present). Emily offers private harp tuition and also works as a therapeutic musician.